Choose 110V VACBP1 or 220V VACBP2 Model. 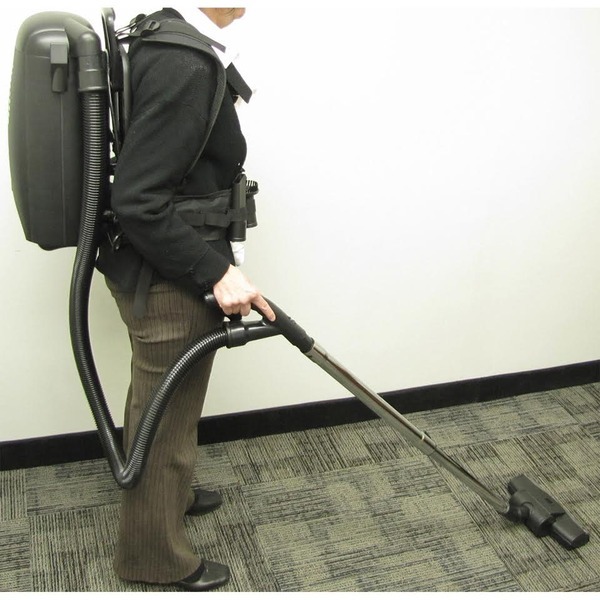 This top-selling backpack vacuum is convenient, portable, and powerful. 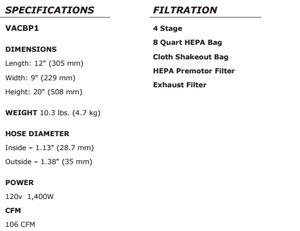 The backpack vacuum is equipped with a 4 stage filtration system and a HEPA filter bag! solution for Comfort, Power and Fine Filtration. 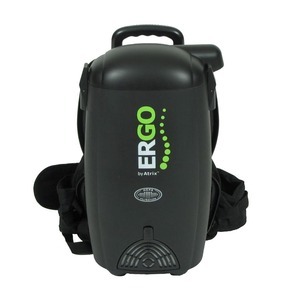 The Ergo Backpack Vacuum comes standard with a HEPA filter. 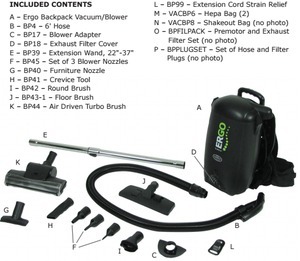 Easily converts from a powerful vacuum to a powerful blower. 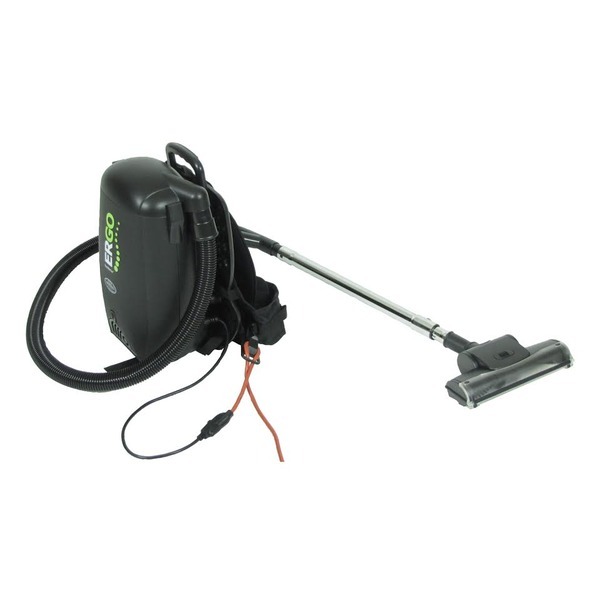 The Ergo Backpack HEPA Vacuum/Blower with 3 Quart dry particulate filter is ideal for any situation that involves a lot of cleaning, stairs, draperies, blinds, etc. Ergonomic and comfortable fit for all sizes. Weighs only 10 pounds. 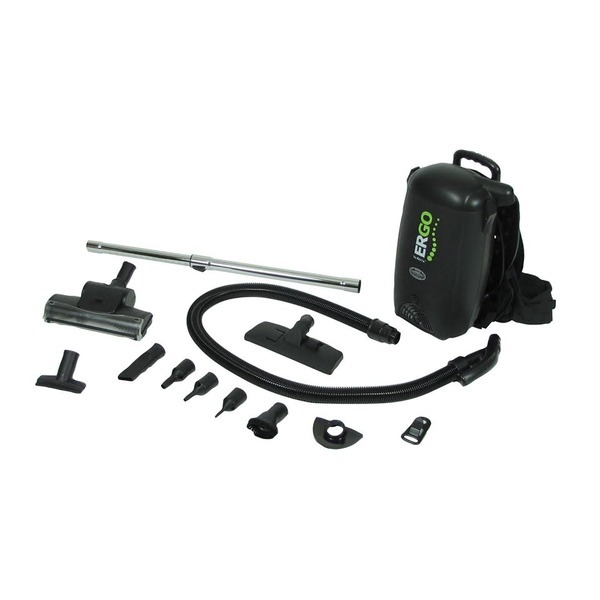 The Ergo International VACBP1 Back Pack HEPA Vacuum/Blower is a cost effective HEPA Vacuum used for quick and efficient cleaning. 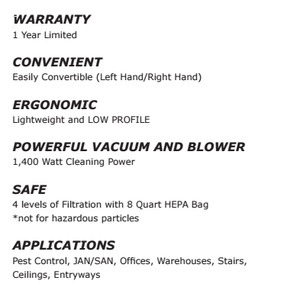 The Back Pack HEPA Vacuum/Blower comes standard with a HEPA bag filter, and a HEPA vacuum filter. It has a 3 quart dry particulate filter, and is ideal for any situation that involves a lot of cleaning, stairs, draperies, blinds, etc. Sanitaire SC535A 10Qt QuietClean HEPA Saintaire Backpack Vacuum Cleaner, Tools, plus Bonus Car Vac!